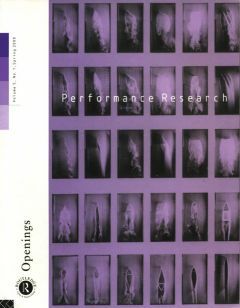 This issue opens the fifth year of publication for Performance Research, and focuses on furthering the conversations with scholars and artists which have developed over the first half-decade of our existence. 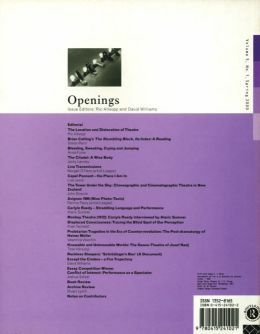 As well as including reflections on the state of play in the worlds of performance practice, theory and criticism the editors intend to open new subjects and to initiate new formats for publication. Proposals, interviews, performance texts, letters and responses to the ideas generated in PR since 1996 are welcomed and encouraged.